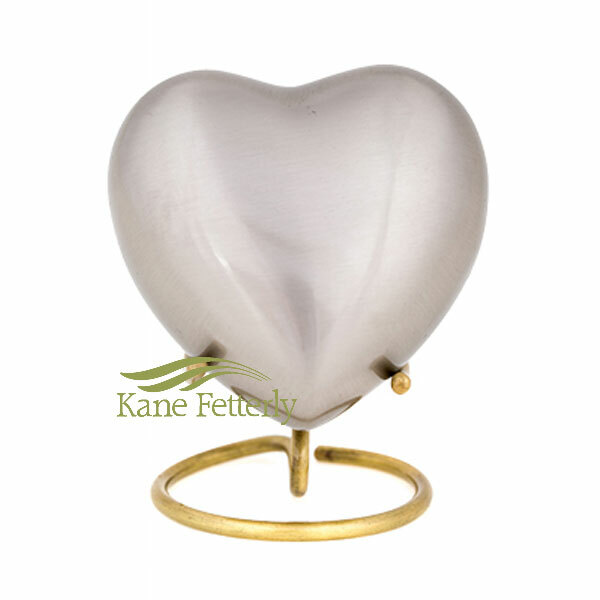 Silver brass heart miniature urn, brushed finish. Heart shown with silver stand (stand extra). Engraving available to personalize the heart.